UWS crossover truck tool boxes provide a safe, secure, convenient storage space that integrates with the layout of your truck. 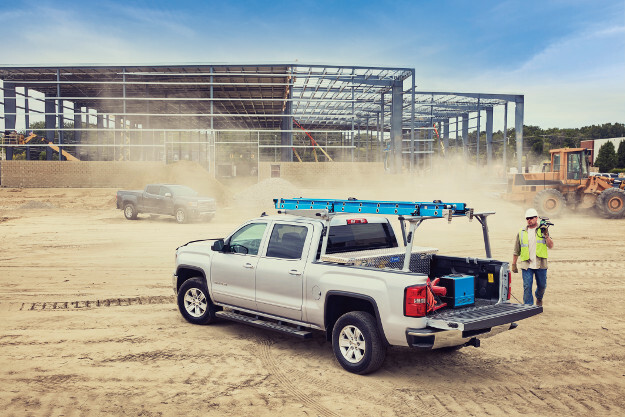 Our truck tool boxes are particularly set apart with their patented RigidCore™ lid design, extra-thick aluminum construction and expansive range of options. Unlike any other truck tool box on the market, each UWS crossover truck tool box features a patented RigidCore™ lid. The lid is filled with a unique solid foam that works with the aluminum structure to maximize strength and increase resistance to bending and warping. This also helps ensure smooth opening and closing of the lid. This patented rigid-core technology is applied to all UWS crossover tool boxes and most of our other tool box and utility chest options. 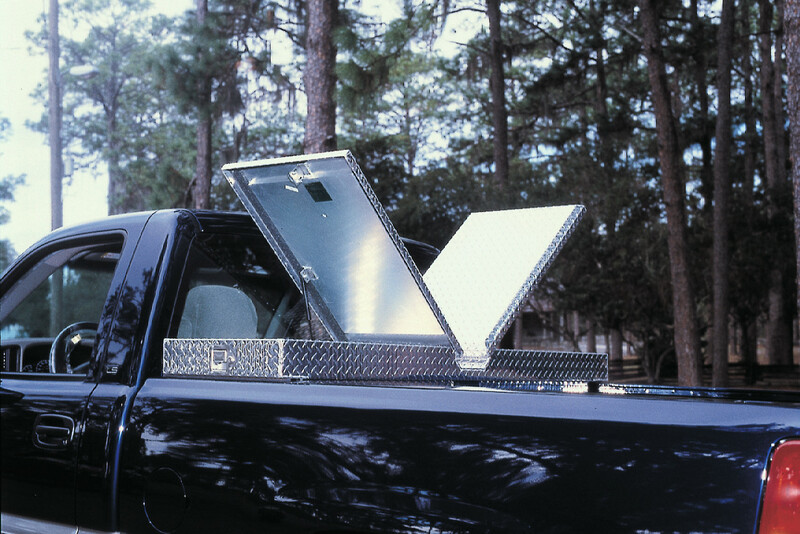 To further enhance the performance of our crossover truck tool boxes, we add a MicroSeal™ gasket and self-opening struts to the lid. The MicroSeal™ gasket runs along the entire edge of the box opening, providing a barrier against moisture, dirt, insects and debris and helping to keep your tools and equipment better protected. For convenient access to our tool boxes, most are equipped with self-opening struts that raise the lid of the box after being unlocked. This makes operation much easier, especially when your hands are full. Something else that makes UWS truck tool boxes unique is their extra-thick construction. We use a 0.058” thick aluminum to construct the tub and lid, increasing the box’s structural integrity and adding durability against heavy tools and cargo. Each box is welded together into a single piece to prevent leaks. Aluminum construction also offers the advantage of being lightweight and highly corrosion-resistant. 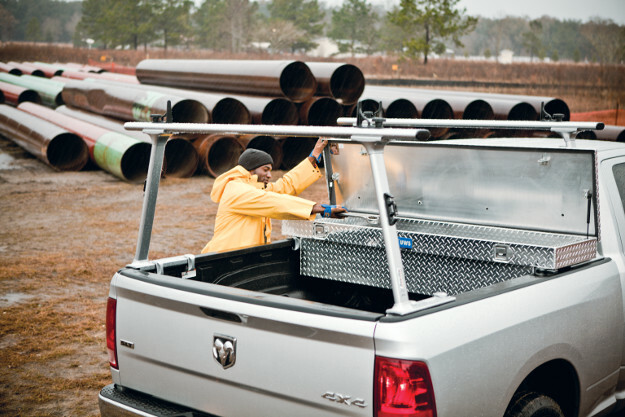 To provide the best possible fit for your truck, UWS crossover tool boxes are not a one-size-fits-all solution. 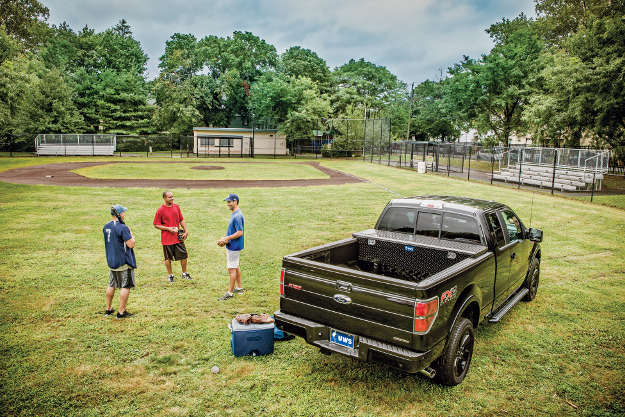 We manufacture a wide variety of sizes and styles to better integrate with your truck’s layout and promote the most custom fit possible. 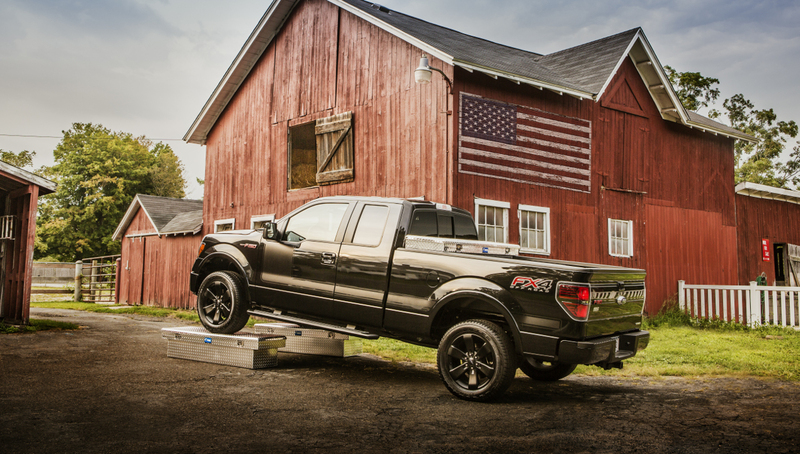 Most of our truck tool boxes are available in three different finish options, including bright aluminum, gloss black powder coat and matte black powder coat. Each one also comes with pre-drilled holes and mounting hardware for an easy installation right out of the box. 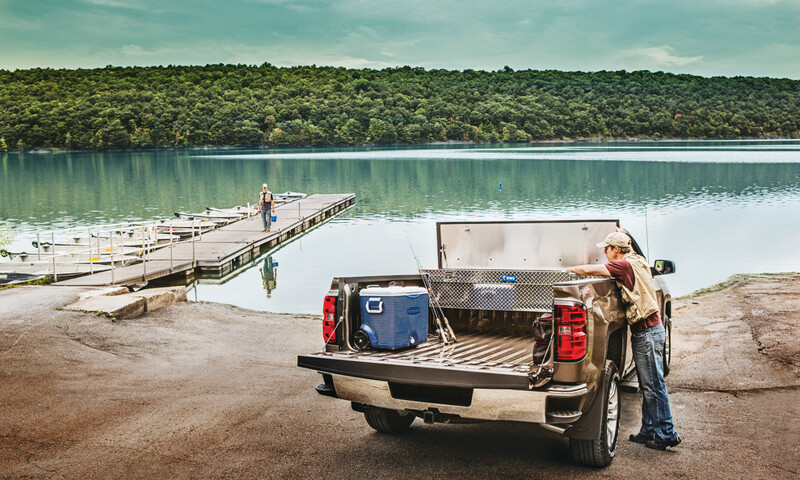 For an enhanced security tool box option, our Secure Lock truck tool boxes have a unique locking system. Both handles on the box are lockable, allowing for either side or both handles to be locked. They also have a connecting rod on the interior that allows the lid to be opened from either side of the vehicle after unlocking. This provides more convenient access while maintaining reliable security. Secure Lock truck tool boxes also feature an interior BedRug™ liner that adds a protective buffer for tools and equipment. 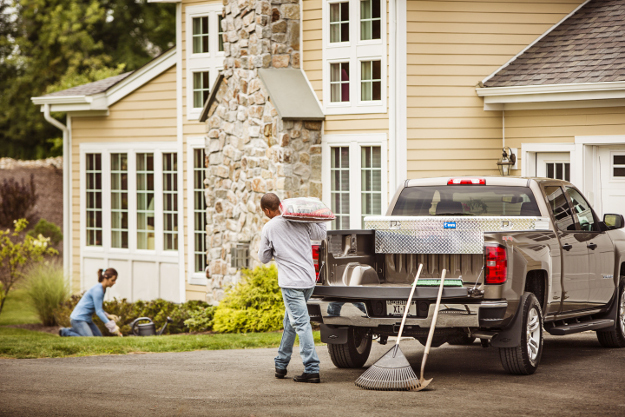 The carpet liner is also fully removable for easy cleanup whenever necessary. 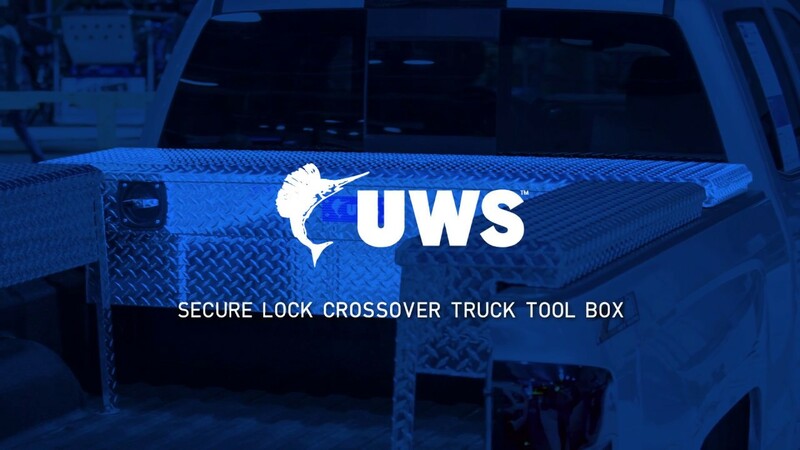 All UWS truck tool boxes are built for dependable security, featuring stainless steel locking handles. Stainless steel construction helps ensure long-lasting operation and resistance to rust. We also design our tool boxes to have the handles set wider apart for easier and more comfortable access over the truck bed walls. UWS truck tool boxes are not only available in a variety of sizes to perfectly fit your truck, but they also come in multiple styles and with a range of extra features. 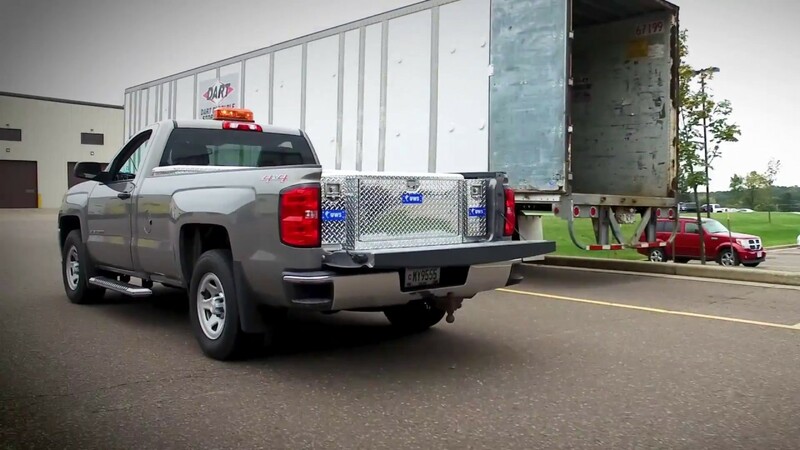 We offer low-profile boxes for a better view out the rear window, gull wing boxes for side half-box access, slim-line boxes and angled boxes for truck beds with limited space, and extra-wide boxes for maximum storage space. Many of our truck tool boxes are available with an included tool tray and built-in screwdriver holders for convenient organization of hand tools or other small items. We also offer several tool boxes with an integrated lid rail, providing a secure tie-down anchor for storing additional cargo on top of the box.